I'll not tip the scales too much (go to Nicola's site and read the interview there ;) ), but I'll paraphrase one answer and say what I think the biggest accomplishment is... it's right here. Everything that has happened (one way or another) in the past three years and a few months, has stemmed from this blog, and the people that have read it, commented on it, challenged me on it, and given me suggestions as to where I should go. Without TESTHEAD, there would likely be no Miagi-do for me. It's likely that my connection with AST would not exist, and thus my involvement with BBST and SummerQAmp wouldn't have happened. Without TESTHEAD, I would have probably had no reason to get onto Twitter (I set up my Twitter account specifically to announce my blog posts, though it grew into lots more). 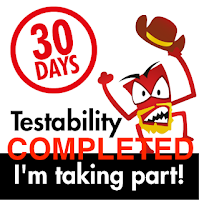 I would likely not have met the several hundred passionate testers and developers that I converse with regularly. In short, life would be rather different today had I never started doing this. To that end, once again, may I say "thank you" to each and every one of you who takes the time to read this blog. 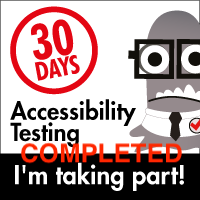 You give me an opportunity to give something back to the testing community, and at the same time, help me figure out if I'm crazy, abnormal, or just haven't thought some things through. You also let me know that I can, every once in awhile, figure some interesting things out. Thanks for being there for me, and thanks for making this fun :).